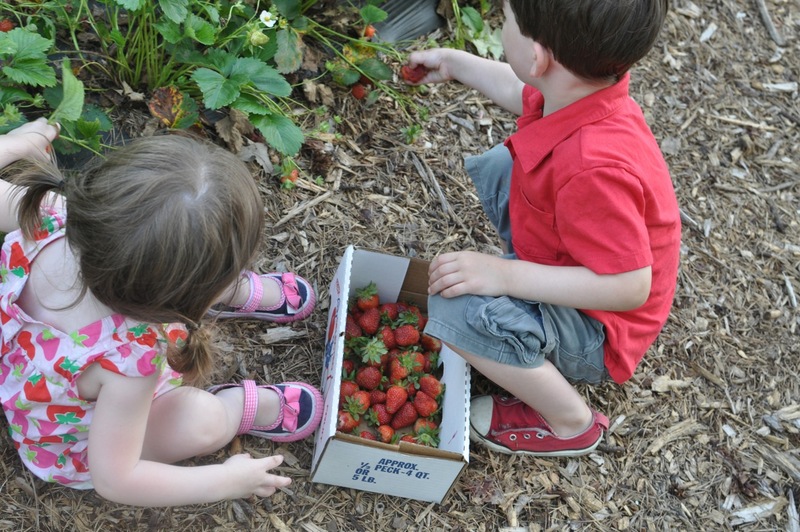 So, it has been a bit since I have done a post like this, but I really wanted to share with you all our family's experience picking strawberries this summer. 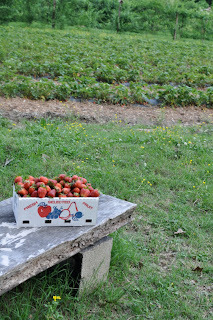 We found a small organic farm here in Memphis, tucked away in a suburban neighborhood (of all places). 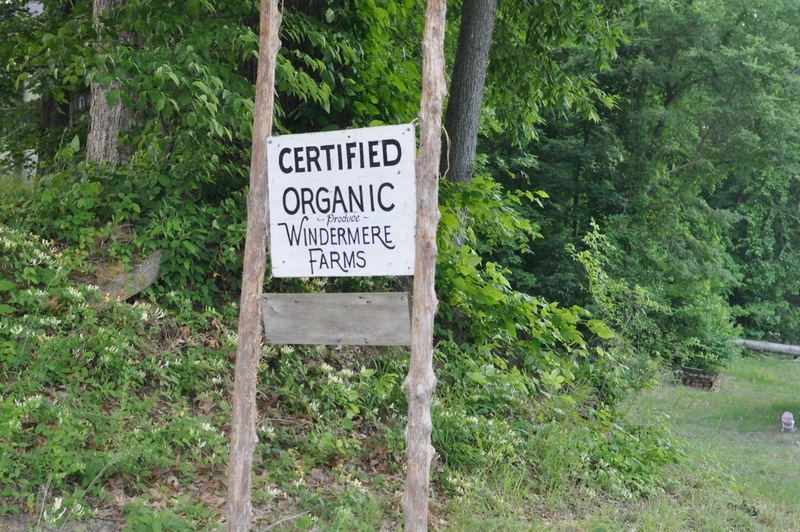 After driving to a part of town that neither I (a native Memphian) or my husband (a transplant) have ventured to before, we easily found Windermere Farms. The great thing was they were open til 6pm so we went one evening after my hubs got off work. We were given a couple of boxes and were let loose in the fields. The kids quickly spotted the red berries and were excited to help pick some fruit. They were also excited to take a few bites on some straight from the vine. (Probably should have given a couple of extra bucks for the berries that were eaten on site.) 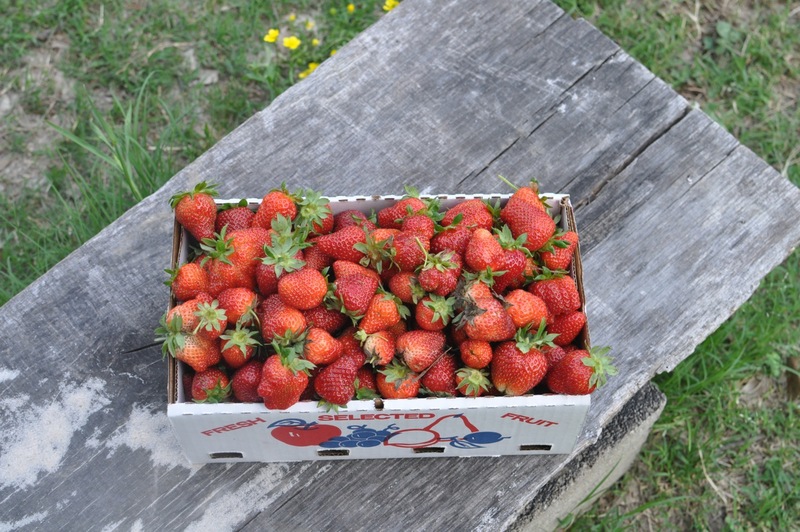 Anyway, for a big box that you are allowed to heap full with fresh organic berries you only pay $16! Plus, it was great to show the kids. They not only running through the fields and picking berries, but there was also a couple of homemade seesaws they took advantage of too. It was a wonderful way to spend sunset before we went home to cook dinner. And of course, there were fresh strawberries for dessert. We put the rest in the fridge and ate on them for a week. After that, I made a big batch of homemade strawberry honey jam. We have been enjoying that in PB&J sammies at lunch and on croissants at breakfast. My sister-in-law recently came for a visit and gobbled up some of the jam too. We have already gone through one jar and started another one! Most of all it was a great experience as a family. 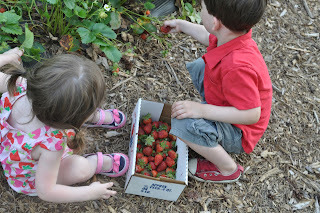 We had a wonderful time getting outside and getting some fresh goodies together. I look forward to returning for pick your own blueberries and blackberries in the near future. 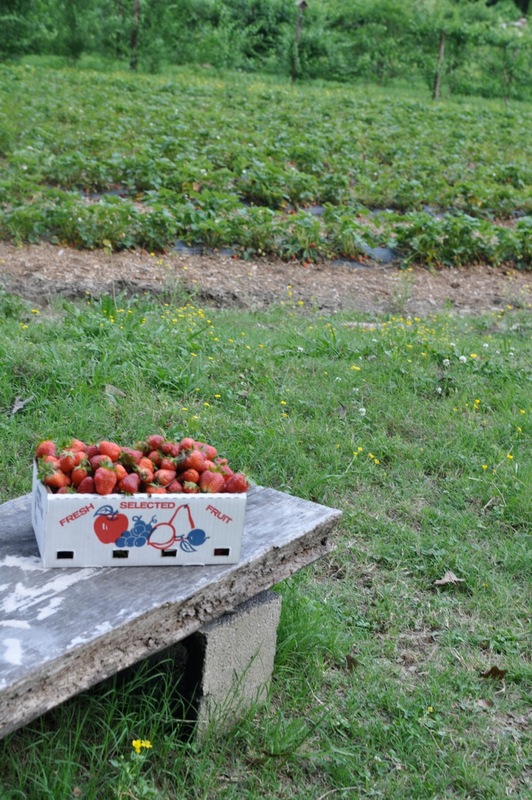 We may even venture to another local orchard to pick our own peaches. Just think of the preserves I can put up. We will be tasting summer all year long. Speaking of taste, I should mention these berries were delicious. The kids would ask for bowl after bowl as we splashed in the sprinklers in our backyard. The were juicy, tart, and sweet. Summer in its most perfect form. I am kicking myself for not making some strawberry shortcake before we ate our way through them. 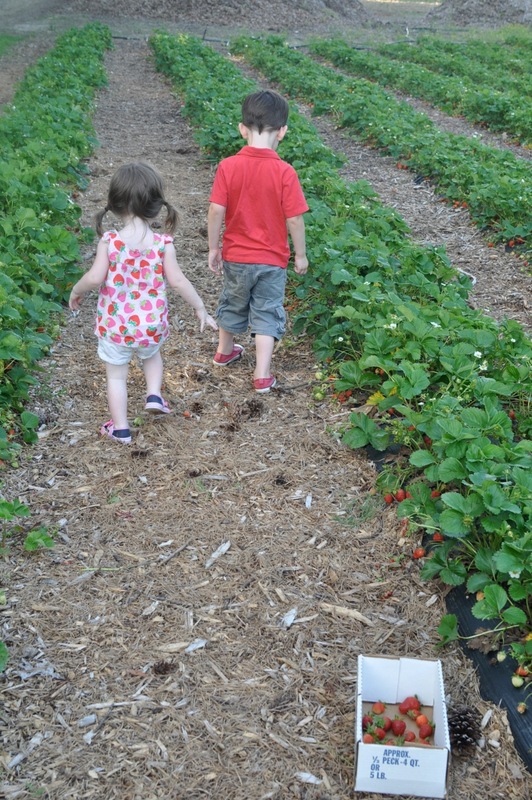 So, if you get a chance take your family out to Windermere Organic Farm and pick your own berries. It is good, clean, and tasty family fun!